In the spirit of healthy eating for children, I continue these articles on getting our youth to eat healthier. Have we ever had a singular view on the power of the packed lunch? Even when scrambling to get everyone out of the house on time and make sure we send the kids off with a healthy meal, we forget how valuable that packed lunch is. So, I came up with six points I use to stay focused and make sure those lunches are packed with power. Kids like to have options, and making the decision to choose what they want to eat will empower them when making healthier choices. They won’t decide that they don’t like what you packed and skip lunch because they can pick and choose what they’d like to eat. Think about a packed lunch as a meal. That’s exactly what it is- a whole meal, but sometimes we don’t take lunch as seriously because we’re on the move and worried about convenience. Include all parts of a healthy meal: protein, complex carbohydrates like whole grains, and healthy fats from nuts, fish, or avocados. A lunch that is pleasing to the eye will be enjoyed more. Try out different shapes and make lunch super colorful with fruits and vegetables. Using mini skewers or cool reusable containers is step up from the cool lunchbox. 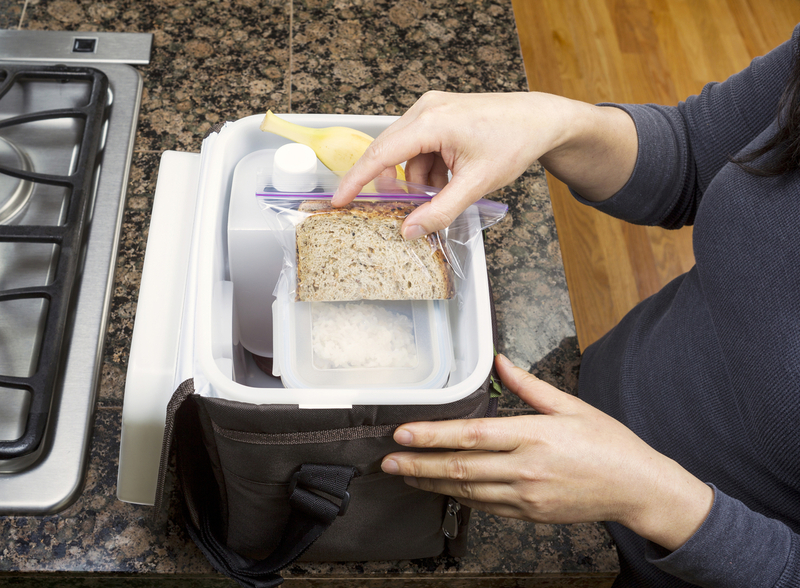 Making lunch the night before, or at least planning what will go into your lunch, will guarantee more time for creativity and take some of the stress off of getting ready. Rushed packing leads to the boring stand by and usually doesn’t have a lot of options. Snack packs are convenient, but you’re paying a premium price. Spend a little more time to portion snack foods and cut up vegetables. Store them in reusable containers and label according to what day they’ll be eaten. They’re less wasteful and just as convenient to grab and go. Break out of the sandwich mold. The same lunch everyday gets tiresome. Try out tortilla wraps, pita bread with hummus, or even pasta. Remember to use Fill Your Plate with sourcing for good recipes, looking for local farmers and also farm products. This entry was posted in Food, Food Facts, Grocery, Health Tips, Healthy Eating and tagged Easy, Healthy, Lunch, Lunchbox, Pack, Sack lunch. Bookmark the permalink.